Well yesterday was definitely an experience I won’t forget! My first LIVE cooking appearance on the BBC. It was a nervy experience but equally FANTASTIC; I had a great time! 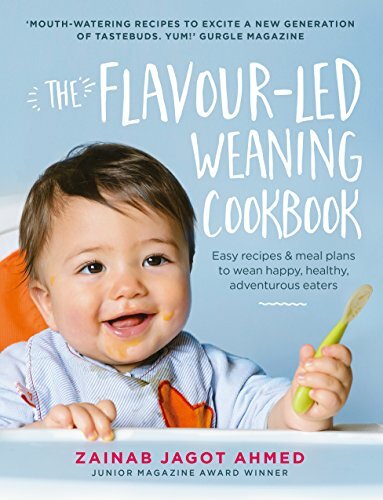 I was invited to appear on Rupal Rajani’s show on BBC Radio Leicester and was asked to prepare two recipes from my weaning and family cookbook – Easy Indian SuperMeals. 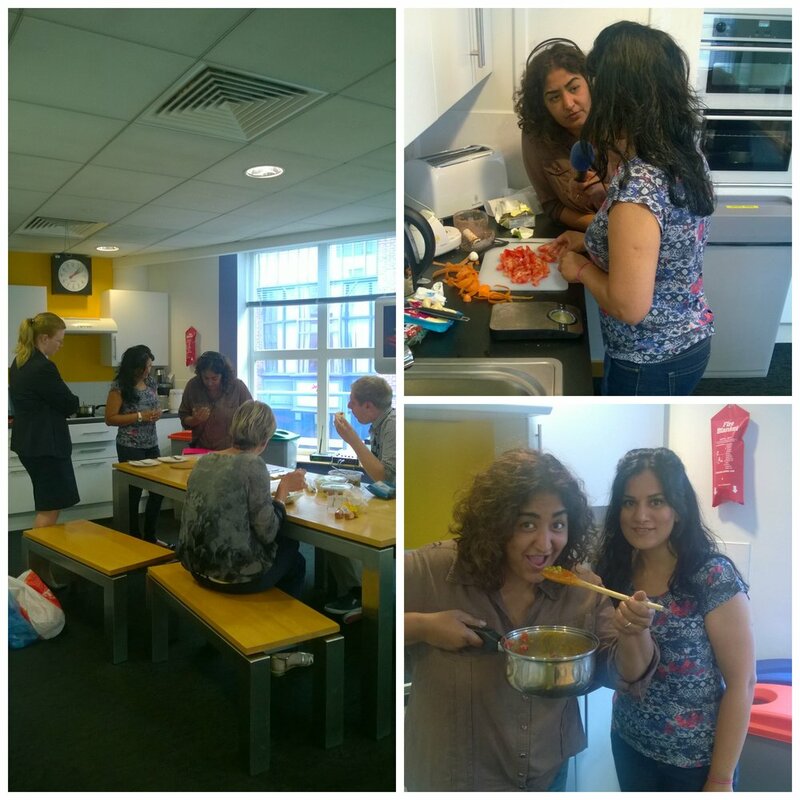 Rupal requested her favourite meal – Matter Paneer, followed by a sweet dessert – Gajar Halwa. My yummy Gajar Halwa recipe is sugar-less so is suitable for babies from 7 months and up. You can find the recipe here. 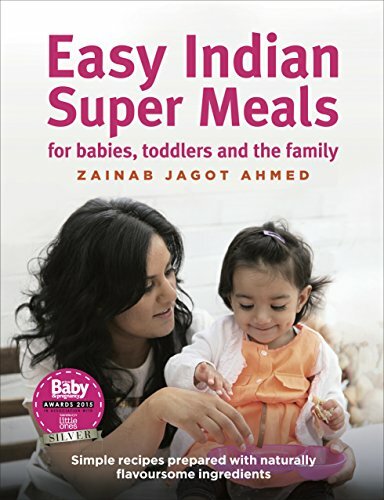 And my Matter Paneer recipe is a delicious family meal suitable for children from one year and up. Both recipes are very SIMPLE and only take between 20-30 minutes to cook – this includes preparation time! I however, had slightly less time to cook both recipes on the show as we got started 15 minutes later than what I was told, and I had to cook on an electric cooker! YIKES!! Anyway, I got my head down, peeling and chopping carrots, chopping tomatoes, lightly frying the paneer all whilst being interviewed. ‘The hubby’ even got in on the action. Imagine his surprise when he got a microphone pointed in his face. HAHA… priceless! It was a tall order but I managed to prepare both dishes with 10 minutes to spare. There were plenty of willing tasters at the BBC too who sampled both recipes. And the verdict – well there was plenty of ‘umm this tastes delicious’ comments flying around the kitchen which I was very pleased about, and within 10 minutes all the food had disappeared. My first LIVE COOKING SUCCESS! For those of you who didn’t manage to tune in, you can read some tweet highlights below, along with the Matter Paneer recipe I cooked in the BBC kitchen. A South Asian vegetarian classic, matter (peas) and paneer, a commonly used unsalted full- fat Indian cottage cheese. Once only available in specialist Indian grocers, is now readily available at most supermarkets. Paneer is protein-rich and an excellent source of calcium, essential for building strong teeth and bones. Suitable for toddlers 12+ months. Drizzle olive oil in a large non-stick frying pan and lightly fry the paneer on medium-low heat until the cubes turn golden. Remove from the pan, place on a paper towel and set aside. Using the same frying pan, add the 50ml of oil, cumin seeds, garlic and stir-fry on medium- low heat. When they begin to splutter add the tomatoes and stir-fry for 2-3mins. Then add the turmeric, water, tomato puree and allow the sauce to simmer on medium heat for a few minutes until the sauce thickens. Once cooked, add the paneer, peas, stir and simmer for 2-3mins until the peas are tender, stirring occasionally. Remove a serving for your little one and set aside. Then add salt and red chilli powder to the main pot and stir. Return to the heat for a further 1-2mins to lightly cook the chilli if you wish. Serve with roti. Recipe extract from Easy Indian SuperMeals.